My favorite bouquets are simple and usually a bunch of one flower or color. on my list of must have flowers. and tend to gravitate toward pretty pink blooms in here. just an inexpensive bunch of roses or stock is perfect. But what do you do with those pretty blooms after they are done blooming? Do you toss them or save them? I know that not all flowers are good for drying but I do love it when they can be dried and used again and again. and I have to say- they were some of my favorite displays of them so far. dried hydrangeas, roses and various wildflowers as well. There is just something about the row of those flowers that makes me happy when I see it. They are small blooms and very open- without a lot of petals. I do love dried rose petals and their fragrance too. they are beautiful and make lovely display where ever you use. though I know there are several ways to do it. beauty and charm even as they dry. Has anyone ever dried peonies and had good luck with it? They are one of the flowers that I have had a harder time drying and keeping. I would love to know the best way to do that if anyone knows. but I have no idea what I did that worked. I am joining a group of bloggers in celebrating Summer! 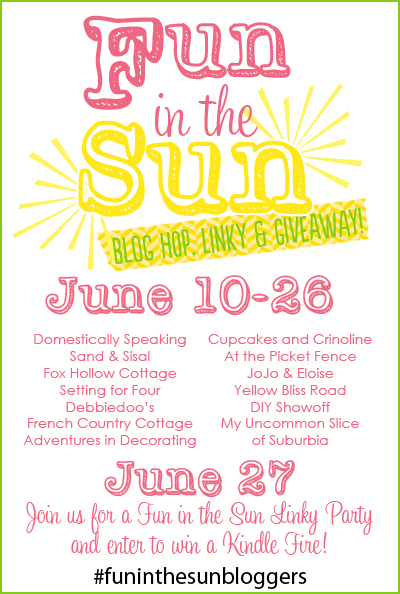 and continuing to June 27th and to a fun link party and giveaway!! Beautiful Courtney! I too love keeping and drying my flowers.Mostly hydrangeas and roses.I did have a peony bush at our last home.Love those!And when I dried them I just hung them upside down in a closet.I don't know if it was the dark closet that kept the color from fading and turning.But they always dried perfect that way for me! Your flowers always look so pretty, Courtney ~ fresh or dried! I was inspired by you to dry the little rose bud flowers in my Mother's Day bouquet. I tied them together and hung them upside down in my craft/sewing room. The stems are now wrapped in pink satin ribbon and they are sitting on my dresser in our master bedroom. Such a simple and romantic touch. Your home and your style is exquisite!!! You should talk to June at "Talking With Angels"
This is a beautifully done post. Your flower photos are gorgeous. Courtney, your dried flowers are beautiful! I've never tried drying peonies, but I wonder if their being so big and full of petals has something to do with the difficulty drying them out. I do love them and they are one of my favorite blooms! The epitome of femininity and beauty-gorgeous! the flowers really make the room glow. love seeing your beautiful style. I love your home and your beautiful flowers. I like to dry roses and hydrangeas. I leave mine in the vase until the water evaporates. They dry beautiful that way!! I love peonies but never attempted to dry them. Beautiful post Courtney!! I love the way you display your flowers and the dried ones gorgeous as well! Hi there, I had great success in drying peonies in Cilicia jell. I love your blog and read most of them, thanks for the inspiration. Beautiful blog post, just lovely flowers and photos. Your pictures are so fresh and inviting! Never knew I could dry these, as I have only done hydrangeas before. Low and behold they had some in the grocery store. I was thrilled. Thanks for your images of these beautiful flowers. You have the perfect touch with flowers, whether fresh or dry you always arranged them so beautifully! Gorgeous flowers Courtney...I just got to this post and it answered all my questions with regard to drying flowers that I had asked today...that's what happens when I miss a post!...Thanks for all the tips Courtney and the party sounds like great fun!! I just love the look of French country cottages. They are so romantic, surreal and easy on the eyes. Their subtle pastels are simply marvelous. 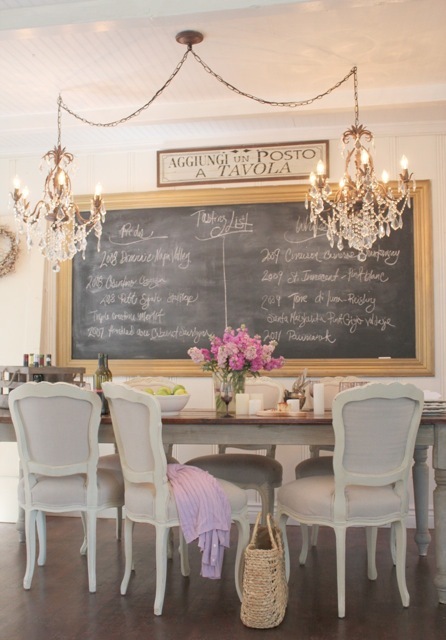 Moreover, the floral arrangements can really dish up the look of any French country cottage. Actually, the floral arrangements that you have shown are some of the loveliest I have ever seen. You idea of decoration with dried flowers is so beautiful. Yor idea is fantastic for dried beautiful flowers, I really inspire about your work. Hi Courtney. I wanted to ask where you found your gorgeous kitchen curtains. ( hanging above your kitchen sink).